WHAT CAN CERAMIC PRO DO FOR MY VEHICLE? Vehicles coated with Ceramic Pro will resists scratches, oxidation, and corrosion. Paint won’t fade or age due to UV protection in the coating. Ceramic Pro is chemical and temperature resistant which means that bird droppings, bugs, dirt, tar, and brake dust will not eat away at the paint or cause any discoloration. 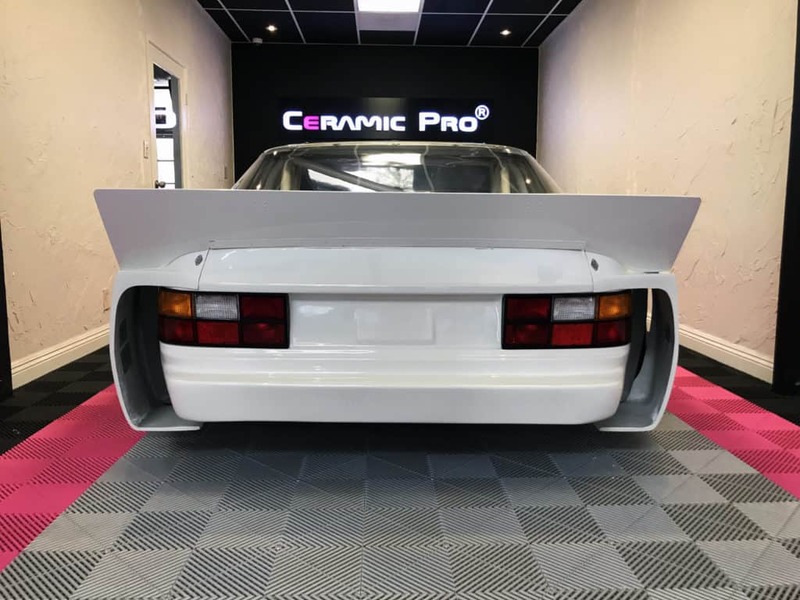 Ceramic Pro’s nano-technology allows the ceramic nano particles to fill the smallest pores in the paint which makes paint surfaces shiny, smooth and extremely slick and hydrophobic. Dirt and water will bead or slips right off to the touch which means less maintenance on your vehicle. Since Ceramic Pro is a permanent protection, you will never have to wax your vehicle again. Ceramic Pro is the only coating in the market that offers a product that is scratch resistant. Most coatings on the market are almost identical to Ceramic Pro Light, what we use for our Bronze Package and as a top coat in our Silver and Gold Package over the scratch resistant product, Ceramic Pro 9H. Ceramic Pro 9H is also the only coating in the market that is multi-layerable offering the most protection for your paint. Silica content in ceramic coatings is what increases the scratch resistance and protection on paint. Ceramic Pro 9H contains 70% silica while other coatings on the market contain 40-60%. Ceramic Pro coated vehicles are under warranty and a warranty will be issued once your vehicle is coated. Ceramic Pro is the only coating that offers a lifetime warranty that comes with the Gold Exterior Package. Each vehicle is carefully washed, decontaminated and removed of any iron deposits before coating with Ceramic Pro. Polished Detail was chosen and featured on this Ceramic Pro video on Science Garage. There is an enormous amount of scientific information about the process, how the coating works and why it works. It is definitely worth watching if you are considering a coating on your vehicle! Polished Detail is the largest and most experienced Ceramic Pro company in Los Angeles and Orange County. We work closely with Ceramic Pro corporate on new innovations and techniques. 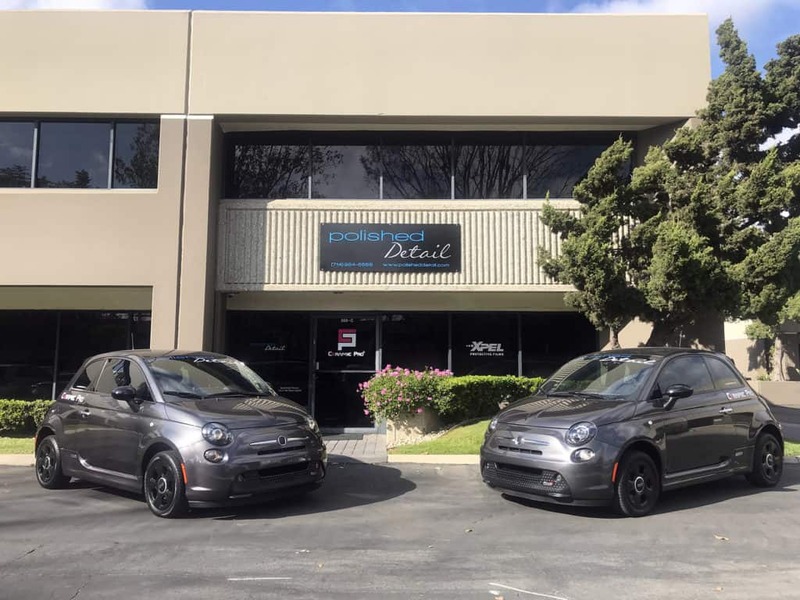 Polished Detail has the only CERAMIC PRO FLAGSHIP SHOPS in Los Angeles and Orange County. We are recognized for our commitment to providing the highest quality installs and educating our clients about this technology. Our shops each have a dedicated climate controlled Ceramic Pro installation room. We want our clients to receive the best possible installation of their Ceramic Pro coating. This is a very important and long lasting investment for your vehicle. We have seen many clients come to our shop for us to repair a cheap or inferior coating install. This is why Nic Shangle developed the CERAMIC PRO PRICE MATCH GUARANTEE. We call it “Their Price… Our Quality”. You should choose your installer based on experience, professionalism, honesty and customer service. We do not BEAT any local Ceramic Pro installers pricing. We will MATCH any local Certified Ceramic Pro installers advertised price or written quote, period. We know that it is difficult to be without your main source of transportation. We don’t want to rush a job on your vehicle to get it back to you sooner than we should. So, we bought a couple 2017 Fiat 500E full electric loaner cars. They plug into a regular 110 electrical outlet and recharge over night. They have an 80-90 mile range per charge. They are provided to our clients that need a way to get to work at no additional charge. 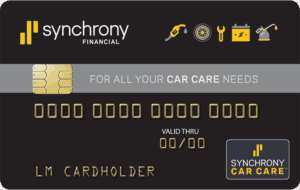 You just need to let us know that you may need a loaner when you make your appointment. They are subject to availability. Pricing varies by size and vehicle condition i.e. paint, swirls, marring, buffer marks, water spots and oxidation. Vehicles coated in Ceramic Pro must be corrected to optimal condition (If needed) prior to Ceramic Pro coating application. Please feel free to contact us or stop by for a free estimate. *Annual Inspections must be carried out by an approved applicator to maintain the warranty. POLISHED DETAIL IS PROUD TO OFFER 0% FINANCING OPTIONS ON OUR CERAMIC PRO PACKAGES!